An introduction and advanced skills for a range of hand-building and basic wheel throwing techniques. The teacher is a wealth of knowledge and approachable. Pete is a fantastic teacher who is happy to share his knowledge and skills in a range of areas relating to ceramics. Most impressed with Pete’s knowledge, passion and encouragement in the short course in ceramics. He was very practical, honest and approachable. Peter Pilven trained in a number of institutions and studios across Australia and the UK before entering academia. 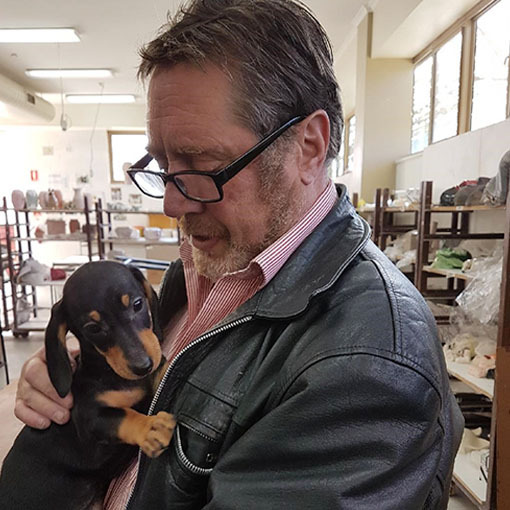 In his 30 plus years at Federation University Australia (previously the University of Ballarat), he has been awarded three student-nominated teaching awards, including two National awards. He is a frequent contributor to a range of juried journals and ceramic magazines in Australia and Ireland. Pete’s commitment to teaching and learning is evident in his ongoing support for rural and regional students. Have you considered our Graduate Diploma in Ceramics?